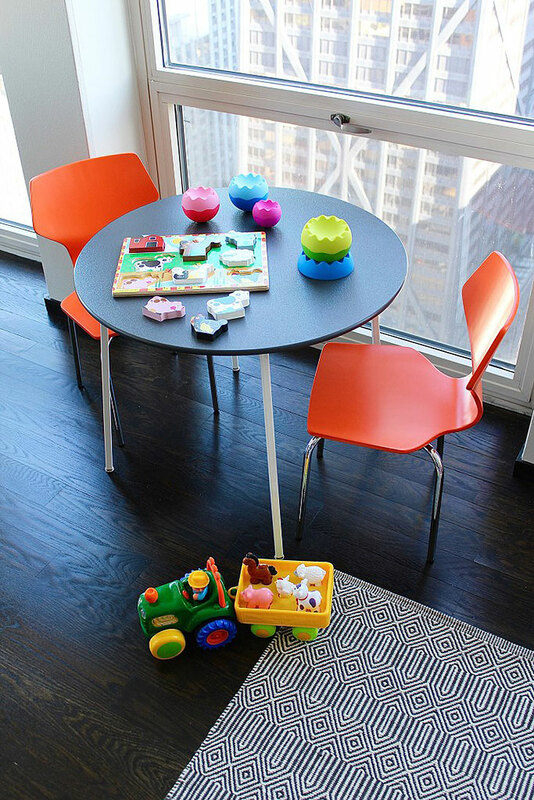 How do you create a fun and functional play area for kids without compromising your own personal decor style? 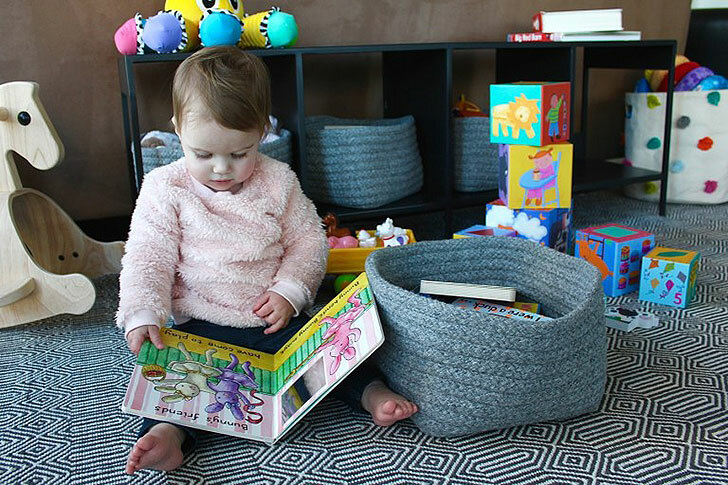 That’s the question Samantha Kramer, blogger behind Gold Coast Girl, presented to us when creating a space for her daughter and we were excited to take on the challenge! 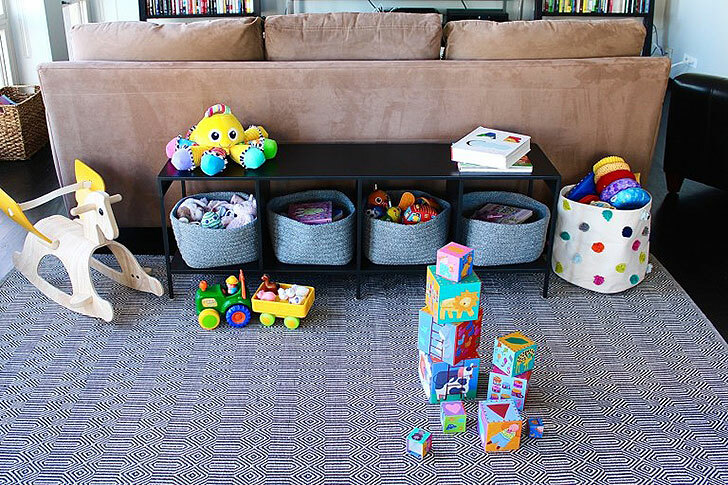 Read on to see how the space turned out and learn more about Samantha. 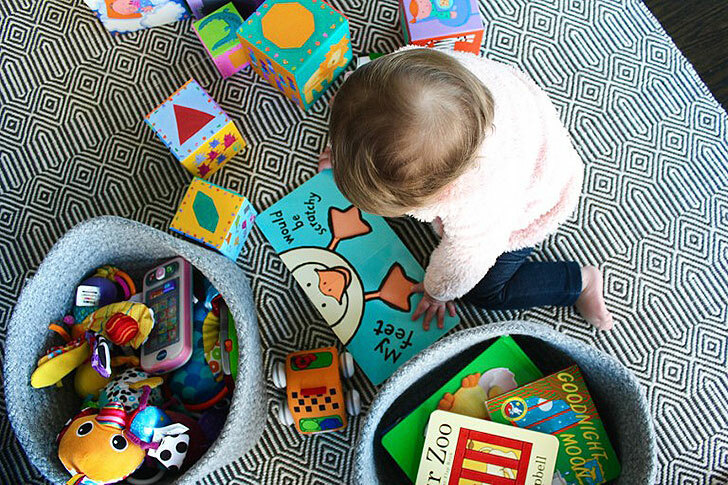 What was the most challenging part about creating a play area for Elle? The most challenging part was creating a space that fit her needs as well as the current aesthetic of our home. 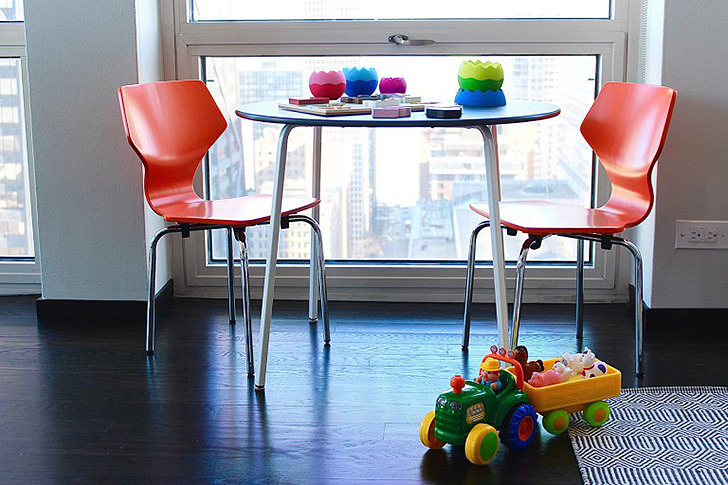 I wanted something that would blend in seamlessly, but also be a functional and kid-friendly space. I love a modern, contemporary look. Lots of neutral colors (especially black, grey and white), as well as glass and chrome. I also love a good pop of color or a stand-out piece scattered throughout. What’s one of the best things you’ve learned from your daughter? I’ve learned to have patience and to live in the moment. You will never get these early days back so enjoy every minute while you can because they grow up so fast. What inspired you to start Gold Coast Girl? I’ve been a fan of fashion and blogs for quite some time so after reading them for a few years, I thought “Hey, I can do this too.” I’ve been doing it for about four years now and it has slowly evolved into a lifestyle guide, including home design, food, beauty, and more recently motherhood. I love the creative process behind it as well as the connections, community and friends I’ve made along the way. What are some of your favorite destinations in Chicago? When the weather cooperates, I love being outside and going for walks with my daughter through Lincoln Park and along the Lake Front. Millennium Park has an amazing playground for kids and a fun outdoor pavilion for summertime concerts. As far as restaurants go, some of our favorites include LuxBar, Summer House Santa Monica, Piccolo Sogno, Volare, and anything in the West Loop. You can check out more of my favorite restaurants here. Also since Chicago is known for their deep dish pizza, I would have to say I’m a fan of either Giordano’s or Pizanos. Anything artistic or creative. I love Instagram, Pinterest, design magazines, blogs. I am a visual person and tend to gravitate towards pretty pictures. Elle reading a book in her new play area. What’s your favorite beauty or style trend of the moment? For style I’m currently loving ruffles, teddy coats, and bell-sleeves. I also love anything striped, structured and the color blush for spring. As far as beauty, I’m not a pro, but I’m always a fan of a bold lip or smokey eye for an evening out. What’s your go-to outfit to feel effortlessly styled? A basic t-shirt or cute stylish sweatshirt, distressed denim and a leather jacket. And always some sunglasses and a cross body bag. My family, my cell phone and my handbags. Live life to the fullest and never take a day for granted. I try to be a positive person and have a good outlook on life. I am grateful for what I have and make sure to enjoy every moment.